Move over baby carrots, Tiny Veggies™ Carrots are here! Each about the size of a quarter (not counting stem) these teeny-tiny carrots are an incredibly fun garnish, salad ingredient, or appetizer ingredient. 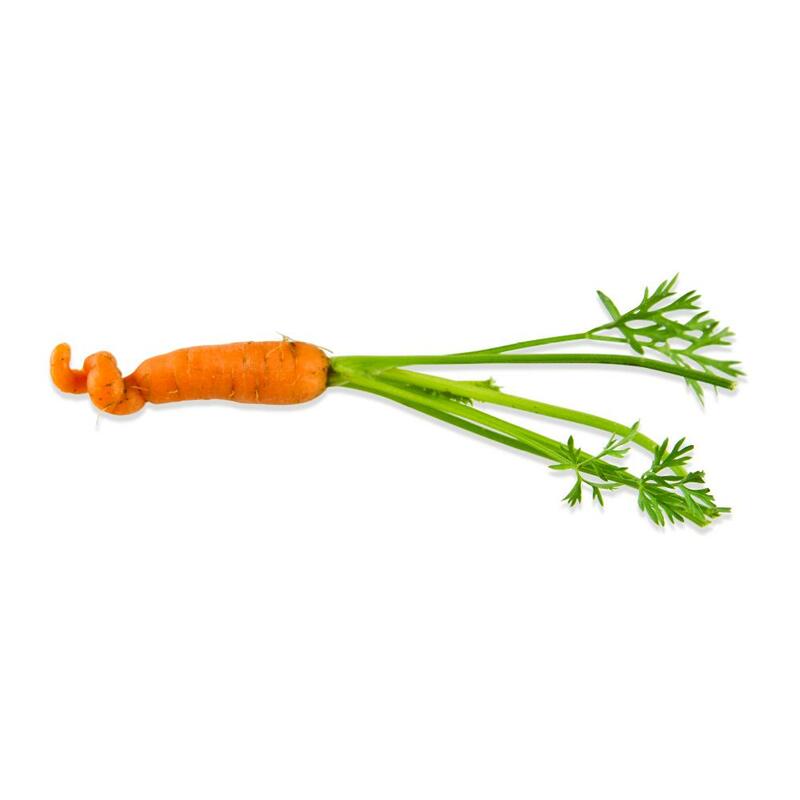 As miniscule as they are, they still have great, full carrot flavor that won’t disappoint. Store Tiny Veggies™ Carrots in your refrigerator in their plastic clamshell. Tiny Veggies™ Carrots can be steamed, roasted, sautéed, tempura battered & fried, or blanched and glazed with reduced chicken stock or butter. They make an exciting garnish or side dish by themselves, but also pair very well with other micro vegetables. Try quick pickling them for extra zing. (How to quick pickle vegetables). 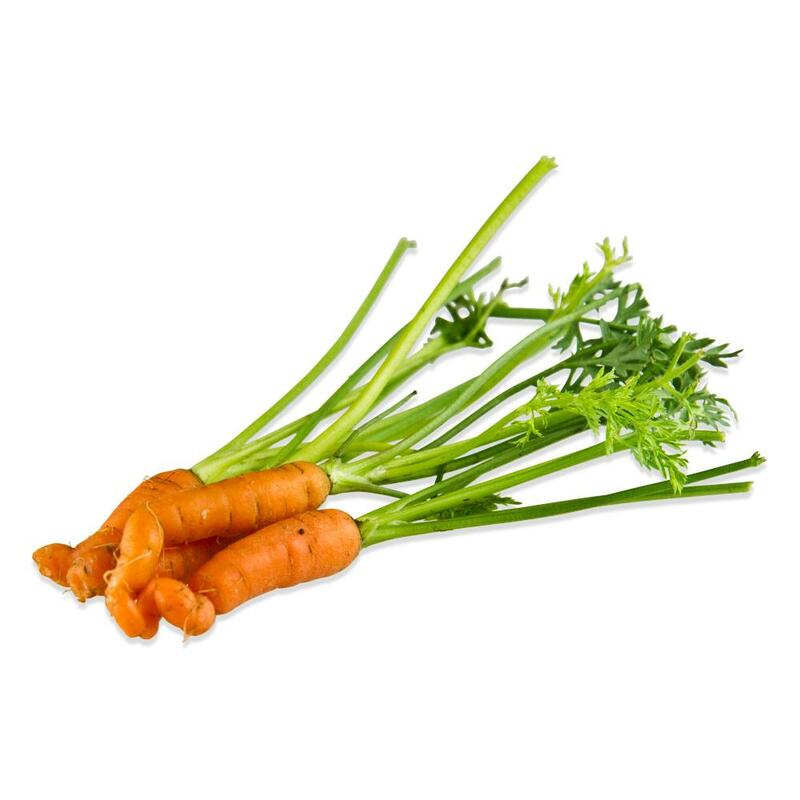 Because carrots are naturally sweet, micro carrots can also be used as a dessert garnish, particularly if blanched until tender, shocked in an ice water bath, and then (if desired) glazed with a thin sugar syrup for shine. See how to blanch Tiny Veggies™ for more details. These micro-carrots are gonna go global! I've been trained by the finest European chefs in Europe. I can say without a doubt that when I saw these babies in the White House I thought, "these micro carrots are gonna go global."